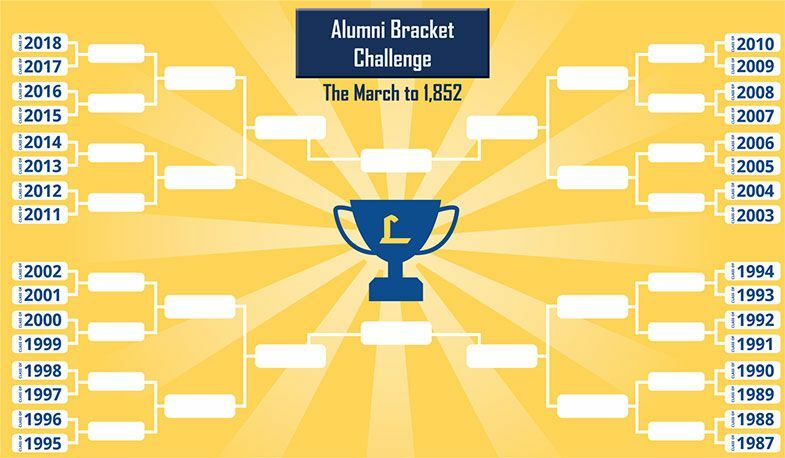 Our first annual Alumni Bracket Challenge is officially underway! Classes from 1987 to 2018 are competing head-to-head in giving to see who comes out on top. The class with the highest number of donors by April 8th will receive 100th Turkey Bowl commemorative items for all donors, and any class that reaches 32 donors or more will be invited to a special cookout on campus for all donors. Updates will be sent out every Thursday, and the class with the highest number of donors at that time will advance to the next round. Follow along and make your gift here.